Chiang Mai is the cultural capital of northern Thailand and is enveloped by a ring of mountains. Established by King Mengrai in the 13th century as the capital of the Lanna Kingdom and located on the banks of Ping River, Chiang Mai literally translates as the new city. 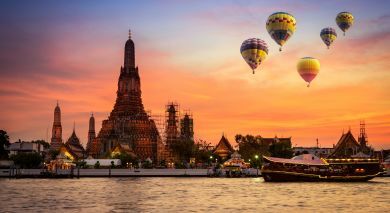 Today, it is the largest cosmopolitan city north of Bangkok and, with its lively nightlife, ancient monasteries and surrounding countryside, boasts a distinct mix of ethnic and modern culture. 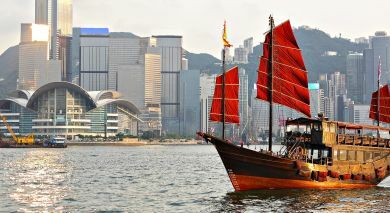 The city has entered into Asia’s modern era gracefully, and is still relatively laidback and gentle. Meditative practice is common among the locals. Chiang Mai is known for its unique array of artisan craft makers, who produce everything from umbrellas and detailed wood carvings to stunning silver jewelry. Anantara Chiang Mai Resort & Spa, Chiang Mai is a great choice for business and leisure guests. Located in the heart of old Chiang Mai, just ten minutes from Chiang Mai International Airport, Banthai Village is a small hotel blending traditional and contemporary influences. Bodhi Serene offers you a cozy stay in downtown Chiang Mai. Situated in the old part of the city, this unique hotel, with its blend of Lanna décor and modern conveniences, gets its name from the Bodhi tree on the premises. De Naga Chiang Mai, a new boutique hotel featuring Northern Thai styles - contemporary Lanna designs, sacred Naga decorations and teak wood interiors, is conveniently located in the Old City (20min drive fm the Intl Apt) across Tha Phae Gate and Wat Chedi Luang, boasting city and Doi Suthep Mountain views. Located in the Mae Rim Valley, Four Seasons Resort Chiang Mai is a 25 min drive from Chiang Mai Airport, and an hour by air from Bangkok. A cultural day tripper’s delight! Travel by road through mountains, valleys and scenic landscapes of the Chiang Rai province to Mae Sai, the northernmost trading border between Thailand and Myanmar. Enjoy a local lunch before venturing onwards to Sop Ruak, otherwise known as the Golden Triangle. Renowned for its illicit opium production since the 1950s, the mountains of Myanmar, Laos and Thailand converge and their borders meet. Enjoy simple exchanges with local hill tribe people and visit Chiang Saen, a glorious ancient kingdom of ruins and temples. Embark on a day trip to the Golden Triangle. Drive 3.5hrs via lovely scenery, stopping at Mekajan’s Hot Springs – soak in the healing waters. At the viewpoint high on the hillside, admire scenic views over the Mekong and Ruak Rivers; see where the borders of Myanmar, Laos and Thailand meet; learn why its called ‘the Golden Triangle’ – once notorious for being the heart of the opium trade. After lunch, visit Chiang Mai’s border town of Mae Sai and Akha and Yao hill tribe villages en route. Discover the secrets of Thai cuisine with a half day group cookery class at one of Chiang Mai’s cooking school. The subtle, exotic flavors and unique presentation of Thai cuisine are world famous. Learn how to strike the perfect balance of sweet, spicy, sour and savory with the experts. Savor your creations afterwards with a sit down lunch. Spend a day with elephants! 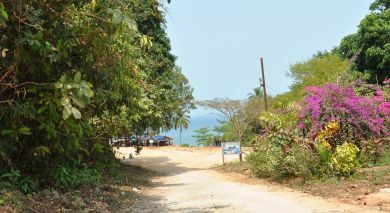 Nestling in the jungle of a picturesque valley lies Mae Sa training camp. Watch as the resident elephants playfully soak up their morning bath in a stream before they begin their daily work. Observe as the elephants demonstrate their extraordinary skills with their mahoots (trainers) and embrace the opportunities of feeding them their favorite treats: bananas and sugarcane. The highlight of your visit? An elephant ride into the surrounding forest of course! This 50 minute adventure is a wonderful experience. En route back to Chiang Mai, end your day with a visit to an orchid farm. 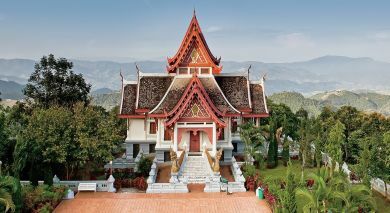 Chiang Mai, a lively northern Thai town with about 700 temples, is fast emerging as the country’s spiritual heart. The sight of monks on the roadside and darting through the streets, aboard rickety motorbikes and local tuk-tuks is not uncommon here. Depart from your hotel early at 0600hrs for a taste of the local spirituality when you spend a morning with monks. Arrive at the foothills of Mt. Doi Suthep and buy offerings so that you acn participate in the daily alms giving ceremony. Dozens of monks walk barefoot through the streets collecting food during this sombre Buddhist procession. Continue up the mountain to Wat Phra That Doi Suthep and climb the 309 steps of the Golden Naga staircase to reach its stunning golden pagodas. Next up is the 14th century Wat Umong, a heavily forested temple enveloped by moss and small plants, exhibiting a unique form of natural decay. Walk through its mysterious tunnels and reach the temple’s Viharan (court or dwelling), where you can experience your own private blessing ceremony. Savor a delicious bowl of the acclaimed norther Thai dish Khao Soy, which is a combination of coconut cream, crispy noodles and plenty of spice.